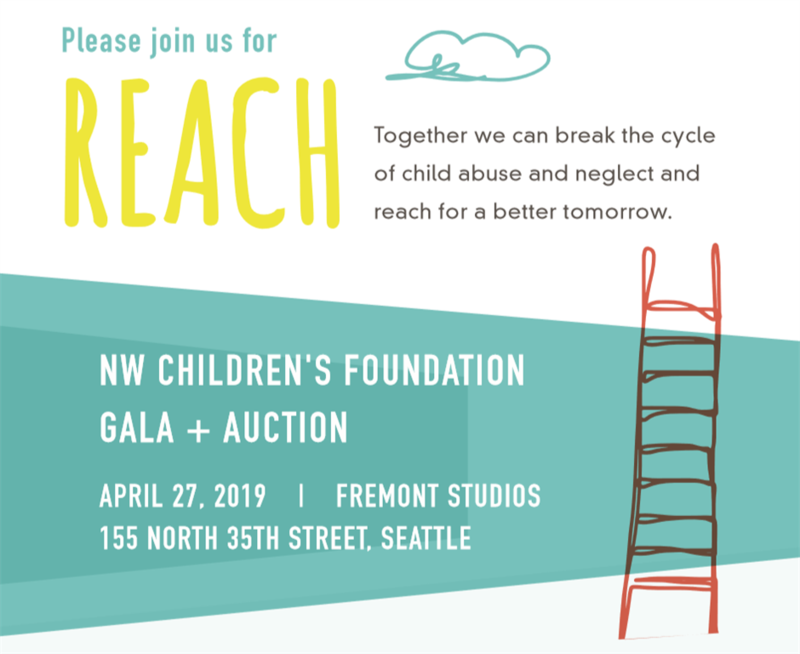 Reach, the 34th annual NWCF Gala & Auction, is a fun and festive celebration not to be missed! In addition to a fabulous dinner by Chef John Howie, guests will enjoy premium wines, great entertainment and stupendous items auctioned by the dynamic John Curley. Best of all, your support enables us to invest in critical interventions that improve the lives of children and families and create a brighter future for all. Gala festivities begin at 5:30 PM. To learn more, visit nwcf.org. Check out our online auction catalog at left! Can't attend but want to bid? Click here to enter your credit card info so that we may assign you a bid number. Then email tmorishige@nwcf.org and identify the items you’re interested in, and your maximum bid(s). Alternatively, you may identify an attending guest to use your bid number to bid on your behalf. Can't attend but want to give? Click here to make a donation in lieu of attendance. Thank you! For changes to an existing reservation or other questions, please contact Tia at 206.682.8447 or tmorishige@nwcf.org.